Who are the Rothschilds? Still making headlines today, their fascinating history stretches back to the Jewish ghetto in Frankfurt, Germany, where the first Rothschild ancestors lived in the House of the Red Shield. There, one man and his five brilliant sons made their fortune as court agents to a royal prince. 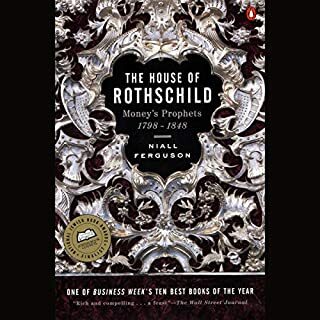 It would take Napoleon's earth-shattering quest to conquer Europe to scatter the five brothers to the four winds, but when the dust of war settled, there was a Rothschild brother and a Rothschild bank in five cities. 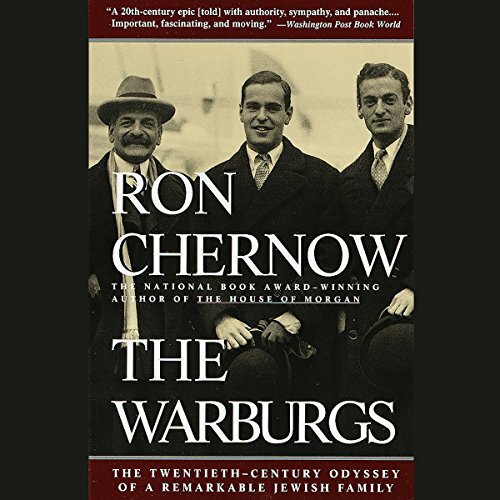 Ron Chernow's hugely fascinating history is a group portrait of a clan whose members were renowned for their brilliance, culture, and personal energy yet tragically vulnerable to the dark and irrational currents of the 20th century. The story of the Warburgs is fascinating, compelling. 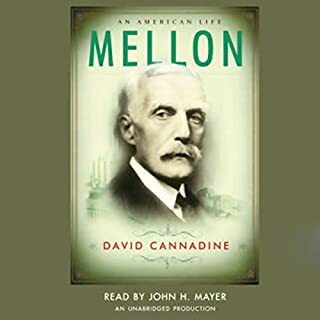 Unfortunately, the reader has made rendered it almost impossible to listen to through his terrible mispronunciation of common words and a strange emphasis which ends most sentences with and urgency not intended by the author. I did, however, manage to struggle through to end. 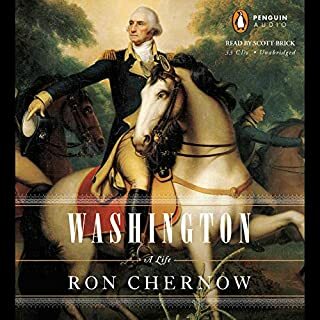 I am never disappointed my Mr. Chernow! The way history and perspective is woven into the a fine stories of his subjects is unmatched. "It was the Warburg's good fortune that whenever we were about to get very rich something would happen and we became poor and had to start over again." 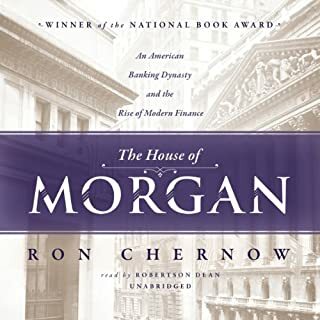 Working in finance, the Warburg name wasn't unknown to me, but it never carried the same cachet as the Rothchilds, the Morgans, the Rockefellers, or the Medicis. Part of this is certainy geography. 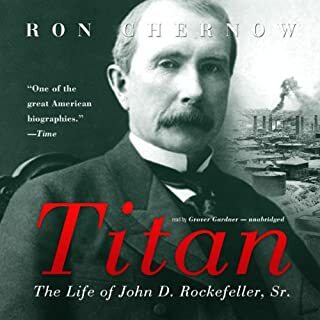 Being American, I've had more exposure to the myths and the institutions created by the Rockefellers and the Morgans (the Mellons and the Goldman-Sachs). But it was more than that. The Warburg family and banking stretched over multiple generations and dynasties. It also peaked right before the Nazis came into power, so the Warburgs faced a large amount of antisemetism (like almost all European Jews) during the late 19th and first half of the 20th century. It is bold of Chernow to take on this family history. It is a big thesis. And it is a difficult task to write a compelling family history framed around banking and Germany and Nazis and not create a hot mess of a book. At times, I felt this book was falling into a hot mess. It spread out, banks fractured, families squabbled, and for a couple hundred pages the book was a chore. But, ultimately, Chernow almost pulled it off. I was fascinated by characters like Aby, Max, Paul, Felix and Fritz Warburg (the Mittleweg Warburgs). Sometimes, I felt as if each of the brothers carried a characteristic or passion I could relate to. Most of the attention of the book is spent on brothers who bank (the exception being Aby, the art Historian and rabid book collector), so the sisters while addressed, get a smaller role. Later, as the Warburg banking empire starts to rebuild, attention is spent on cousins Eric, Paul, and James (Mittleweg Warburgs), and Sir Siegmund Warburg (Alsterufer Warburgs). By this time, the Warburg families have spread mostly out of Germany to America, Switzerland, Sweden, the Netherlands, etc. But like with the previous generation of Warburg men, I found characteristics of these dynamic men that I could relate to. They were all different, often difficult and driven, but fascinating. The book itself is fascinating. This an amazing account of a powerful family including a tradition of philanthropy and influence. Included in the story of impressive personalities each contributing to the history of their era, is a tale of drama and loss. The narrator has a good voice, but annoying occurrences of odd pronunciation of certain words and names. Most irritating, however is the shrill sibillance of the letter &quot;s.&quot; When it occurs, it grates on the ears. You need not be an international banker to enjoy this wonderful story of a special family that changed the world of high finance. Countless events of individual emotional and geographical family dynamics are expertly weaves into this multi-generational story. The horrible impact of the rise of the Third Reich, Hitler, and the struggles this and other Jews suffered is detailed. The philanthropic focus by this family was also detailed. The narrator is to be commended as well. Written in typical and understandable Chernow fashion. Fascinating walk thru 19-20th century as an unusual family dealt with the Holocaust and life after. Reader could use some help pronouncing German and Israeli names but was otherwise A+. I feel a bit ripped off. The Audible offering is obviously an abridged version of the book which makes this hard to follow. I should not have to jump on Wikipedia to learn the background of members of the Warburg family- that's what biographies are for! 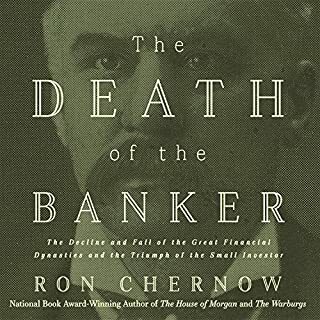 This book says a lot about the banking world. If you are interested in our global financial system and its roots you have to read this book. A gripping and spectacular story of a great families supreme and continuous effort to remain viable! This was very well written book. I enjoyed the narration. I also enjoyed the history of that time. It gave me more insights of what the Jewish people went through during the 1930’s and 1940’s.